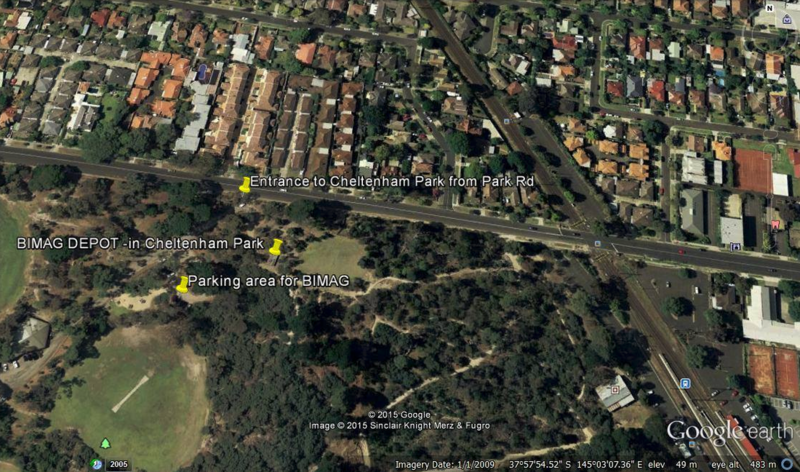 When entering Cheltenham Park from Park Rd you will notice (immediately) a steel boom-gate on the left hand side, and a track leading off into the bush. Our shed is up that track, but you cannot park there. Proceed to the first car-park on the LHS at the bottom of the incline. 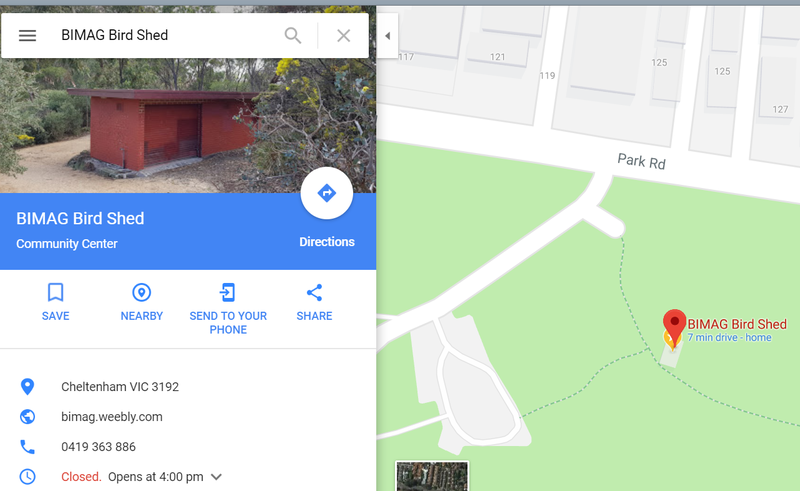 Park there and walk 40 metres NE along another bush track until you see a brick shed with a roller door. You are there. It is open Mon. Tues, Thurs, and Sat 4-5 pm for receipt of traps, allocation of traps, and to receive trapped birds.